There are several dishes we serve at home to celebrate the holidays. One is making traditional Colombian food like grilled or roasted chicken, tamales, empanadas, buñuelos, natilla, among others. 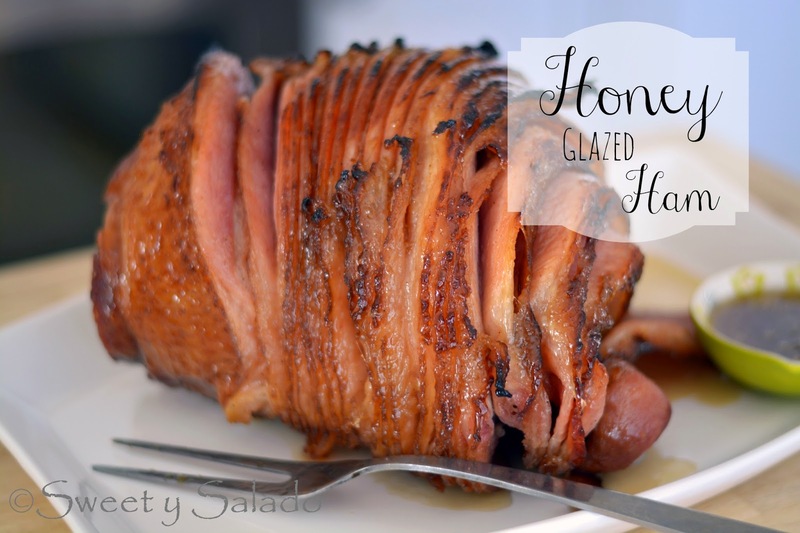 But we also love to eat this delicious honey glazed ham which goes with almost any other side dish. I particularly like it because it’s so incredibly easy to make, way easier than making a big pot of tamales, that’s for sure! And what makes this ham so special? The delicious glaze you baste it with. It’s got butter, brown sugar, honey and cloves, that’s it, four simple ingredients that make this ham outstanding. On top of that, I use the leftover ham to make sandwiches throughout the week which makes my family very happy. So, if you’re looking for an alternative to the traditional dishes you serve at home during the holidays, give this spectacular recipe a try. You will see how easy it is to make but also how much your family will enjoy it. 1. Preheat oven to 325ºF (163ºC). 2. Cover a roasting pan with aluminum foil. If using a non spiral cut ham, you can now score it before baking. 3. Melt the butter in a small saucepan on medium heat, then add the brown sugar, honey and cloves, stir until well blended. Keep this mixture warm on the lowest setting of your stove throughout the whole baking process so it doesn’t harden. 4. 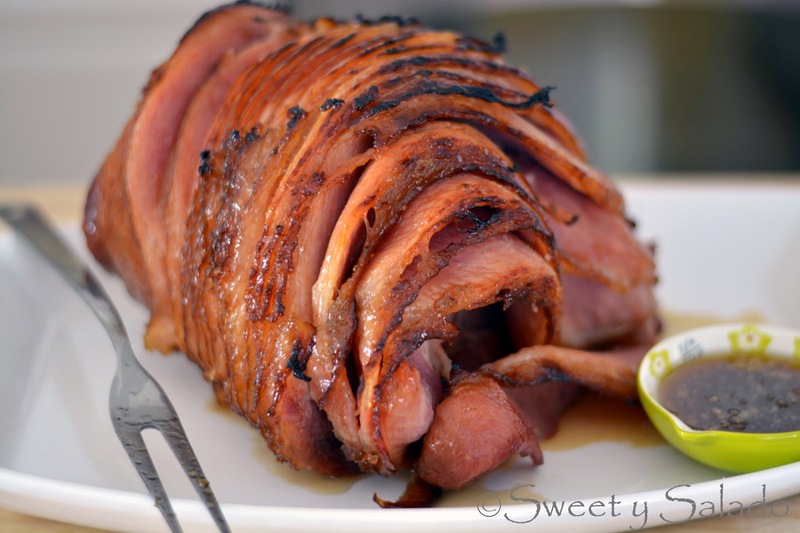 Baste the ham with the honey glaze, then cover it with aluminum foil and bake for about 15 minutes per pound (approx. 2 hours total) or until the internal temperature reads 160ºF (72ºC). Make sure to baste it with the glaze every 15 minutes. 5. During the last 3-5 minutes of baking, remove the foil, baste the ham with the glaze one last time and cover it with the brown sugar. Turn on the broiler and broil the ham for about 2-3 minutes to caramelize the sugar. Keep an eye on it so it doesn’t burn. 6. Let the ham rest for a few minutes before serving. **Note: If your oven does not have a “broil” option, raise the temperature to 500ºF (260ºC).